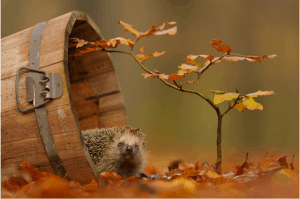 Home Blog Page Big Uncategorised Look after the wildlife in your garden this Autumn. Look after the wildlife in your garden this Autumn. One of the best things about having a garden is that it is packed full of amazing wildlife, right on your doorstep. In Autumn this is particularly true, Hedgehogs, frogs, birds, even bugs and bees; they all have their own habits and there are ways that you can make sure that your garden is the ideal place for them to hide away, hibernate or simply get through the Autumn. Need some help to find the best way to make a wildlife haven in your garden? Here are our top tips for ensuring that all creatures great and small have a place to call their own in your beautiful Autumn garden. 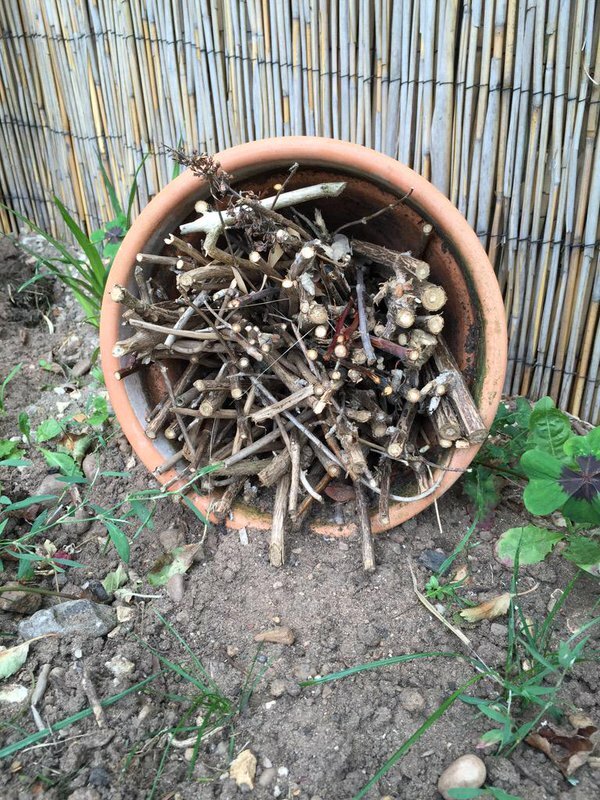 A simple pile of twigs can make the perfect home for small mammals and bugs! Pop some at the back of the borders of your garden, or in a plant pot led on its side and you will soon see an assortment of creatures making it their home. You may not realise it but a number of creatures will use your compost heaps for hibernating. This is particularly true for hedgehogs and queen bumblebees. If you have a plastic bin with a lid then this will give them a dry place to hide away, you will want to make sure that you stand the bin on bricks so that they have access to the bottom. For those people who have an open compost bin, you may want to cover it with an old piece of carpet, which will keep the bin warm and dry. Try and leave the bin alone from October to April (as much as you can of course) so that any creatures in there can be left in peace. If you have a pond in your garden, then you are likely to find that it is the home for male frogs. During the winter, frogs will spend a large amount of their time in the water, hiding away at the bottom of the pond. They will breathe through their skin during this time and they can survive quite happily for the whole season. However, if the pond freezes over, then they can become trapped and poisoned by the decaying plant material. 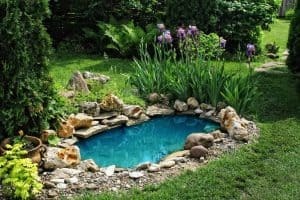 Autumn is a great time to clear out all the debris that is in your pond, and to make sure that the pond doesn’t freeze over it is recommended that you float a tennis ball on the water, which will stop the water from freezing over. No-one wants mushy and slippery leaves all over their garden, but this doesn’t mean that you should put them in the bin. Instead, take all the leaves that you have collected and pop them in a corner, or beneath a hedge where animals can hide away in them for shelter. You may worry that your borders look rather unsightly during the winter, but the decaying plants are the ideal place for insects and small mammals to hide. We recommend leaving them in place and allowing them to create shelter, warmth and dryness for all those animals looking for an Autumn home! For some people, Autumn may be a time to leave your garden alone, but this doesn’t mean that it won’t be a hive of activity. Keep an eye out and you may be surprised to find a wide variety of UK wildlife calling it their home. Previous Post	Our guide to pruning. 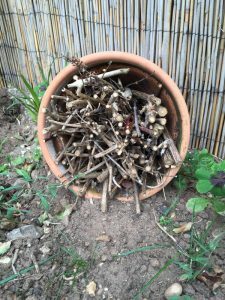 Next Post	Why composting is great for your garden.